It’s easy to sense the palpability of the Cuban dream. A nation that has existed primarily on hope for nearly fifty years shows the world just how powerful hope can be. It’s this, and little else, that moved Cuba dramatically toward the unknown and untested, and has carried its population through innumerable hardships. People fall in love with Cuba and never leave. This Russian gentleman fell in love with a Cubana, more specifically, and stayed for her. She eventually left him for another man, but not before he bought into the dream of a passionate life on a revolutionary island. He may complain about being tricked by the woman and the revolutionary rhetoric, yet he still wears his Cuban military fatigues with pride. La Patria Ante Todo… “The Motherland Before Everything.” The dream of Cuba comes first. This is a lesson taught to the young and old, and repeated throughout life to remind citizens of their reasons for sacrifice: “Sacrifice for our Future;” “Bear hardship with honor;” “We will not back down.” Propaganda appears on billboards across the country. Everywhere you turn in Cuba there are reminders of revolutionary heroes, those who made the ultimate sacrifice for their motherland. More than in any other place, these martyrs are venerated and even deified. This brings the revolution alive. These almost Disney-like characters remind citizens that their sacrifices, no matter how difficult, are less than the “ultimate sacrifice” of martyrdom. This is very effective politically. It’s much easier to romanticize a dead man than to argue with him. This is a wall of heroes and saints. Che, Christ, Fidel, and the Pope are granted the most space, but they share the wall with Santeria figures and Cuban musical legends. There are so many visuals that impart a tourist’s Cuba: cigars, old cars, tropical beaches, and Spanish forts. The cars are fabulous. You arrive in Havana to a sense that you have just stepped back into the 1950s. Classic American automobiles pass by on the street, most looking remarkably fit for their age. The curves of a ’50s-era Chevrolet seem somehow more glamorous than anything built since. Because much of the architecture in Cuba, especially in Old Havana, hasn’t changed since the 1950s either, it is easy to get lost in history. La Floridita, where Hemingway used to get his favorite drinks, still feels like something out of a Bogart movie. Rum and tobacco brought the tourists back then, and still entertain them today, much to the benefit of government coffers. Tourism is the number-one economic engine in contemporary Cuba. This man and his dog are looking over an area in Old Havana, where tourists are drawn to well-preserved bars and restaurants made famous by Hemingway. On the street below, a rum and tobacco shop can be seen on the right. Besides old cars and Spanish architecture, I recognize Cuba mostly by the faces of the Cubans I met. Smiles come easily, but on the street you’re more likely catch the worn expressions of weary eyes and set jaws. There is a clear sense that life isn’t easy here. Americans in Cuba don’t go anywhere unnoticed. In Old Havana, I can’t help feeling like I’m walking through a staged set, that if I just walk around the corner I’ll meet the edge of the stage–and with it, reality. Sometimes this proves true. Stray off the beaten track, and you’ll see fewer polished cars, fewer Cuban flags, and more people just sitting and watching and waiting. I love the street scenes–people getting haircuts, talking with neighbors, sweeping the sidewalk, and hanging laundry to dry on the balcony. Education is free in Cuba. Younger students attend school in their hometown, and books and uniforms are provided. Children learn the fundamentals of Cuban citizenship along with their math and reading, and are expected to join the youth Communist scouts. Like young Boy Scouts or Girl Scouts of America, they learn songs, lessons in morality, and leadership skills. These children were just coming home from school when I met them. A few years from now, they’ll be sent to mandatory co-ed boarding schools outside of the city. Every month, Cuban families receive rations of food: oil, rice, beans, and eggs. This guarantees a certain amount of food on the table, despite low salaries. Families with children are entitled to milk, additional eggs, and meats. Produce availability is extremely limited, unless grown at home, and some goods, such as potatoes and lobsters, are limited to “dollar stores” and tourist consumption only. In Cuba, the U.S. dollar is a powerful tool. Dollars provide access, not just to material goods and services, but to an entirely different lifestyle. Imported goods, produce, and meats are sold in dollar stores, which accept only U.S. currency. Those without access to dollars rely on their Cuban Peso salary and ration cards. Ration cards don’t fulfill all of a family’s needs, and ration stores are bare and depressing, as shown here. These young women are celebrating their fifteenth birthdays in the Latin American tradition. A combination of “Sweet Sixteen” and a debutante-style celebration, the fifteenth birthday, or quinceanera celebration, is a woman’s most important time next to her wedding day. She is welcomed into adulthood and presented to the world in high style. In Cuba, it’s tradition for a family to save for years in order to give their daughter a proper quinceanera celebration. Cuban art and music are celebrated in Cuba by locals and tourists alike. Both genres of expression are rich, passionate, and pervasive. The Cuban dream plays out in both art and music, and it’s easy to get swept up in it all. On our recent honeymoon, my wife and I spent seven nights on the island of Providenciales in the Turks and Caicos islands, about 575 miles southeast of Miami, Florida. Anyone who has been married can attest that–by the end of a perfect wedding weekend and the months of sometimes agonizing planning that made it that way–lying on a warm Caribbean beach enjoying the sun and a few strong rum drinks, is in tall order. A trip to Providenciales seemed the perfect way to set aside thoughts of the bustling world behind us. But to avoid becoming completely detached, I was eager to take in some of the local culture, which coincided with my obsession with all things sporty and British. My chosen activity was the game of cricket, and I wanted to join the locals in a rousing match of it. Of course, I knew little of the game, but I felt an afternoon on the cricket pitch would round out my honeymoon experience and complete my transformation from simple American tourist to island legend. The Turks and Caicos cover and area of about 193 square miles, composed of a series of 40 islands (only eight of which are inhabited) just 30 miles south of the Bahamas and 90 miles north of the island of Hispanola. Although a British Territory, the dollar is king there attracting scores of American tourists, mostly from the Northeast and the South. The islands were part of the United Kingdom’s Jamaican colony until 1962, when they assumed the status of a separate crown colony upon Jamaica’s independence. The governor of The Bahamas oversaw affairs from 1965 to 1973, but with Bahamian independence, the islands received a separate governor in 1973, and although independence was agreed upon for 1982, the policy was reversed and the islands remain a British overseas territory today. This combination of diametric cultures, economic status, and the often sweltering Caribbean climate has given rise to a decidedly unique way of life in the Turks and Caicos that melds notions of “Britishness” (of which the local affinity for cricket is but one example) with the ever-present “island time,” when the simplest task might take all day to complete simply because no one is in a hurry to do much of anything. In terms of sport, the national soccer team is ranked 203 in the world (out of 204 teams), playing at a national “stadium” that would be surpassed by most American city parks: there’s a field and lights, and that’s it. There is a golf course on the island, at the rather lovely Providenciales Country Club, but what interested me most was the frequent mention of cricket as the national sport. I liked my chances of finding a game. I already stated that I have a tad of an anglophile streak in me. The truth of the matter is, I think I want to be British, or perhaps I want to be a cool American with British “tendencies.” It’s all very confusing and something I’ll need to examine in the future; however, whether it’s watching Merchant-Ivory flicks, paying exorbitant cable prices so I get can Sky Sports to learn about the latest transfer to West Ham, or defending Oasis as the greatest rock’n’roll act of the past 20 years, this Yank has become obsessed with offerings from our nation’s former masters. If I could have ice in a glass (yes, I know that’s a cliché), a constant supply of Heinz ketchup, baseball on the dish, and acceptance from a loving British public, I think I could call myself a half-baked Brit. So it should come as no surprise that I found myself chasing a cricket ground on my honeymoon, instead of soaking in the rays next to my wife. For some reason I had a romantic notion of donning tasteful white attire as I struck the ball, before heading off to the clubhouse to enjoy a well-deserved Pimms. I envisioned my maiden voyage into the world of cricket resulting in comments on my natural athletic ability, social grace, and sportsmanship; it would earn me praise and admiration from island locals and holdovers from the former empire alike. In my mind’s eye, I would later accompany the Turks and Caicos’ finest and join the West Indies team at the Cricket World Cup where we would upset giants Australia, South Africa, and mother England. And considering I was a decent baseball player, how hard could cricket be? I could just step on the pitch and knock the tar out of the ball. For years, the legend and tales would build of that graceful, athletic, handsome American that came to the island and dominated the cricket pitch that hot July afternoon. Never had anyone seen a foreigner pick up a game so quickly and make it his own. Cricket, I should explain, is the summer game of England and its former colonies, and it is almost impossible to illustrate the rules clearly in a short space (many have tried, few have succeeded). However, I will make an effort here. Essentially, the game is played outdoors with a ball and bat, between two teams of eleven players. The ball is slightly smaller than a baseball and, I’m told, hurts like hell when it hits you. The cricket pitch is about 450 feet by 500 feet. In the center of the pitch, parallel to its short ends, are two wickets that are 66 feet apart. Each wicket consists of three wooden stumps placed equidistant in a straight line so the distance between the first and third stumps is 9 inches. On top of the stumps there are two strips of wood, the “bails,” placed end to end in grooves on the top of the stumps. The wicket is centered lengthways in a white line known as the “bowling crease.” Another white line is drawn in front of and parallel to each bowling crease. This is called the “popping crease,” or simply “the crease.” The central action of the game takes place between the batsman, who stands behind the crease, and the bowler, who delivers the ball from behind the opposite bowling crease, trying to get the batsman out. There are 42 rules or laws of cricket. They outline everything from when a batsman is out, to when the pitch should be thrown. One team bats first and the other bowls and fields first. This is decided by the toss of a coin, of which the winner decides how to play in the game. The team that bats first sends two batsmen out on the field, one player to each wicket. The opposing team sends a bowler to one wicket, a wicketkeeper to a position behind the other, and the remaining nine to the field. There are two umpires on the field who control the game. Heading out one Saturday morning to try my hand at this game, I was told that I could catch the local bus about two blocks from the Ocean Club West, the resort where my wife and I were staying. There were no bus stops, per se, but all I needed to do was wave and the bus would stop for me. After a couple of minutes, a small van picked me up, and I began my journey toward the Leeward Highway (the island’s main drag) into downtown “Provo” in search of the Downtown Ballpark. Coming from Boston, journeys down Leeward–with its maze of potholes, dust, and ongoing construction–put my daily frustrations back home into perspective. As the bus headed down Leeward running along the crest of the island, one could see beautiful beaches on both sides of the island. Along the way we picked up a young Belonger taking a battery from a broken-down car to his place on the other side of Provo for a replacement, while a rather large woman and I, along with her basket of exotic fruits, snuggled up in the van’s second row of seats. After minutes of putting my “game face” on and wondering if I was about to make a complete fool of myself, we finally reached our destination, the Providenciales Downtown Ballpark. One could justify the name “Downtown,” but calling it a “ballpark” made for a very generous portrayal. What I found was a vacant dirt lot, the size of your average American high school football field with a string of lights and a covered set of bleachers. Also present was a chain-link fence for what I guess served as a backstop for errant cricket tosses. I could not believe that the community had spent money on some rather nice lighting but couldn’t put fork over one cent for a single blade of grass. Wearing my white polo shirt, shorts, and tennis shoes (my attempt at proper attire), I foresaw a long, dirty, exhausting afternoon in the hot sun. Quickly, thoughts of a rum punch, my lovely bride, and perfect white sands seemed like a better way to spend my day, but I pressed on intrepid as ever. To play the game of cricket , or any game for that matter, above all one needs some players to actually start a match. Throughout the week I was told from numerous reliable sources (the employees at the Ocean Club West front desk, various bartenders, gardeners, etc.) that every Saturday the local police department plays the “other” team from 9 to 12. Who or what made up the other team was never really determined, but I figured some sort of game would take place. As I crossed Leeward toward the Ballpark, I found neither team was there and the field was empty. I half expected to see a tumbleweed roll by, as in some long-deserted Wild West boomtown. Looking at my watch, I saw it was 10:30 A.M. and figured it was going to be a late start for the boys, and that I should kill some time and wait awhile. After investigating each of these points with the trio, I gathered that this was the “other” team, and there would be cricket this day, although the exact time was not exactly clear and whether I would be involved was still to be determined (the mix of snickers and shaking of heads did little to bolster my optimism). I imagined the three men were thinking, “Why in the hell would this sweaty, grimy American get on a bus from a nice, comfortable resort, head downtown wanting to play cricket, and think he could actually play the game?” After pressing on when exactly the game would begin and enduring further snickers, I was told to relax and that all would fall into place– “Island time, mon,” was all they would offer. Considering I might be stuck in downtown Provo on the next to last day of my honeymoon, and that my bride might not understand why I would spend five to six hours embarrassing myself and my country, I tactfully bid “Team Other” adieu and got back on Leeward Highway looking for the bus back to my resort. I rationalized, since these guys didn’t even offer me a Red Stripe, my decision to leave was that much easier. I made my way up Leeward for half an hour following the hot, dusty road, looking for a bus and cursing myself for wasting three hours of my day in an unsuccessful bid to play some stupid game. After another 15 minutes, this tourist was quite dehydrated and cranky, so I headed to the local Texaco for water and a couple of minutes of some sorely needed air conditioning. The women in the store looked at me mystified, wondering why a crazy American, caked in sweat and dust, would be walking along the road and not at the beach deciding when to have lunch and reading a trashy novel, as was the norm. I was wondering the same this, and after over an hour trying to track down a bus and enduring a series of incredulous looks from islanders in their air-conditioned cars, I gave up on public transportation and found a taxi back to the resort. The beauty of such island taxi travel, of course, is that one can barter, and for five U.S. dollars I found myself at the doors of Ocean Club West. Never had a taxi ride felt so good. Off came my “cricket attire,” on went the swimming shorts, and after grabbing a towel and that trashy novel, I headed to the beach where I found my lovely wife wading in the water on a three-dollar flotation device happy as a new bride can be. The ocean seemed more refreshing and welcome than ever before as I plunged my dust-caked body into the turquoise water meeting my wife at her floating flotilla. She asked how I did, I gave her the highlights of my morning. She shook her head, and we both agreed that planning for meals, soaking in pools and the sea, cocktail hour, and preparing for my trip home would make a better, if less adventuresome, schedule for the weekend. Her point was well taken, but it was not without its downsides. I am still obsessed with all things British, and I have yet to play a game a of cricket. Of course, it may prove even harder to find a match back in my State-side home, so if anyone is looking for an extra on their team, I may not be good, but I’m willing. One of the younger countries in the world, Bangladesh attained its independence from Pakistan in 1972. Dwarfed and almost engulfed by neighboring India, the country is on the very edge of South Asia, adjacent to Burma (Myanmar) to the east. Bangladesh is situated at the confluence and delta of three great rivers–the Ganges (Padma), Meghna, and Brahmaputra (Jamuna)–that together drain most of the Himalayan snowmelt, and this is the defining geographical feature of the nation. Population density is extreme countrywide: more than half the population of the United States lives in a land area smaller than many American states. The gross national product is heavily subsidized with foreign aid, and the average annual income is less than US$200. War with, and independence from, Pakistan in the early 1970’s represents the dominant intracontinental political struggle of the past half-century, in which Bengalis established themselves as a distinctive ethnic group. The Cold War passed over the limited economic and military power of the region, but did align Bangladesh as an American aid recipient and potential ally. Honored and nurtured, ancient and venerable prayer stupas and Bodhi trees scattered across the country represent the roots of the thousands-of-years-old Bengali culture. Cultural wealth was at a high point half a millennium ago, when ports on the Ganges and Brahmaputra Rivers traded wares from the interior of the Indian subcontinent with Africa and beyond. Isolated, crumbling palaces on the Ganges floodplain, and the cazbah walls surrounding urban areas, bear evidence of this prior cultural renaissance. Impacts of later colonization by the British are conspicuous: tea plantations continue to operate, and the colonial-era railway system is still the most dependable form of transport. The modern paradigm of globalization is hard on the indebted nation with its sparse infrastructure and high propensity for natural disasters. Although not a major economy of the world, Bangladeshis contribute heavily to the development of the global petroleum industry and also to United Nations armies. Division of the Indian subcontinent 1948-50 established the current ethnic distribution, which, in Bangladesh, is approximately 88% Muslim, 11% Hindu, and 1% Christian. Politically, Bengalis tend to be moderately conservative, and the country does not suffer from ethnic and political tension so common in that region. Consideration of local customs, especially those regarding gender and religious roles, is recommended to those who wish to minimize their travel impact. Although a high percentage of Bengalis know some English, actually communicating in English can only be done reliably in urban areas. The native language is Bangla, which has roots in the region and Arabic. Iconic architecture is a highlight of the capital city–Dhaka–as are the high-density urban amazements such as markets and busy intersections. However, the pollution in any Bangladeshi urban area is powerful and pervasive, and includes trash and garbage as well as open sewers, noise, and vehicle exhaust. Rural Bangladesh lies in seemingly stagnant transition between the 18th and the 21st centuries, a condition that has fallen upon much of the resource-poor postcolonial world. There are few wilderness or natural conservation areas, with the major exception of the Sundarbans in southwestern Bangladesh, where the graceful Bengal Tiger roams among immense coastal forests and mangroves. Rural villages tend to be well kept and productive, and people are inviting and interactive. To sit and have cha, a sweet creamy tea, and make conversation is the essence of traveling in Land of Bengal. Bangladesh visas are valid for six months from the date of issue and are good for stays of one or three months. Health concerns include cholera, dysentery, hepatitis, malaria and meningococcal meningitis. Consult your physician before visiting Bangladesh, and be aware of shots or medication that should be taken in advance of your trip. Monsoons from the Indian Ocean contribute to annual flooding, and the land area of Bangladesh reduces by about one-third each year from August to October. The best time to visit is from October to February–the cold season , when the weather is drier. Springtime in Bangladesh–roughly around April–can be very uncomfortable, with extreme heat and humidity. 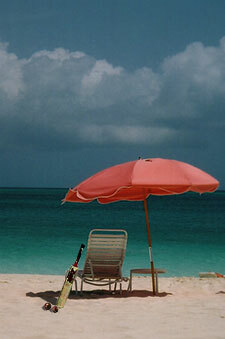 Being so close the United States has made the Bahamas one of the easiest of the “island paradises” to visit. From its sprawling capitol Nassau, to its many smaller islands, the Bahamas have everything other Caribbean islands have and more. The Bahamas are made up of 700 islands and 2500 cays, which make it a wonderful place for sailing and diving, and with so many locations, you’ll never get bored. The islands are very different from one another as some have been “built up” while others still have a more West Indies-like style. If you have been to one island you shouldn’t judge all of the Bahamas by what you found there; inter-island cultures often seem like night and day. Only a true local could tell you about all the hidden gems in this island chain, but travel there just once and you can find some of them on your own. Christopher Columbus landed in the Bahamas on his first voyage to the Americas, in 1492. His landfall was made on the island of San Salvador. At that time the islands were inhabited by the Lucayan indians; sadly the indians were enslaved by the Spanish and, within 25 years, the entire population of 50,000 indians was gone. You can travel to the Bahamas by either plane or boat: there are regular flights from many airports in Florida, as well as ferries leaving from Miami and Fort Lauderdale (most of these travel to the more popular ports, such as Nassau or Freeport). Traveling between the islands is easier on a plane than a ferry, as there are few commercial boats connecting the islands, and those that do are not on regular schedules. There are water taxis between many of the closer islands, but if you’re looking to travel farther down the chain a plane may be your best bet. U.S. citizens do not need a passport or visa for stays of less than eight months in the Bahamas, but must show proof of citizenship. Citizens of Canada or the United Kingdom and Commonwealth countries do not need a visa for stays of three weeks or less. Visitors from most other European countries need passports but not visas for stays up to three months. Air passengers must have a return or ongoing airline ticket. The weather in the Bahamas is some of the nicest in the world. Temperatures rarely drop below 60°F (16°C) and don’t usually go above 90°F (32°C). The sun shines on average 320 days a year and the islands, being right in the path of the trade winds, normally have a nice cooling breeze. The rainy season is between May and November, but with an average of only 45 days of rain a year you can bet that you’ll see plenty of sun during this period as well. This time of year is also the hurricane season, but the islands seem to generally escape the damage caused by many of these storms.